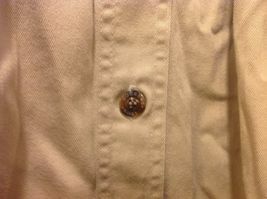 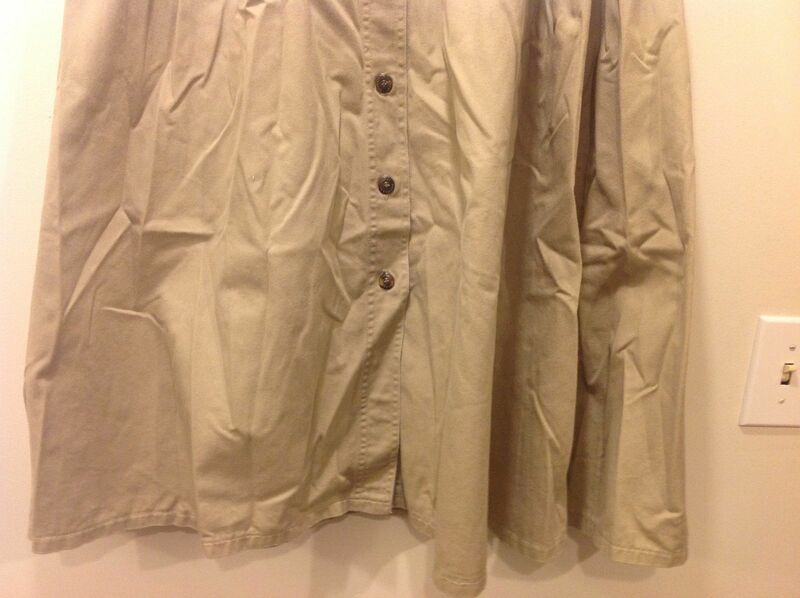 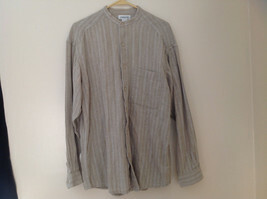 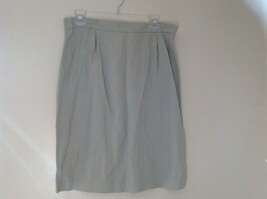 Ladies pale green, long, button down skirt by 'LEVI'S DOCKERS'! 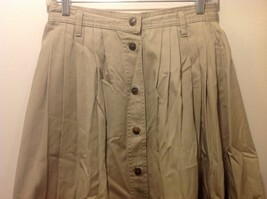 Skirt is medium weight/warm. 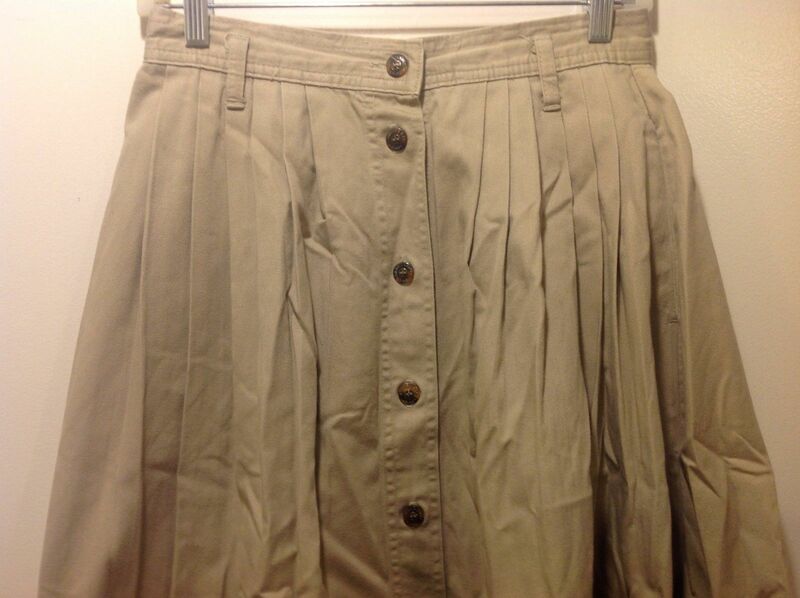 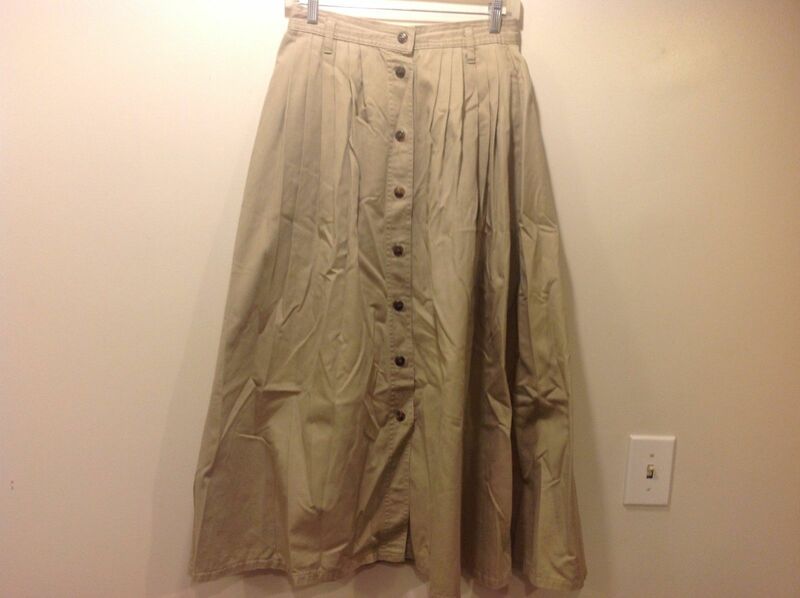 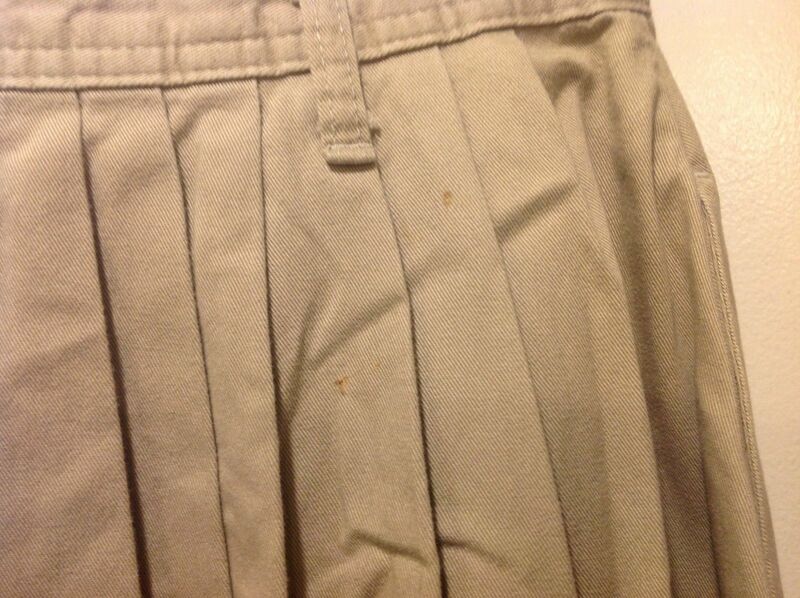 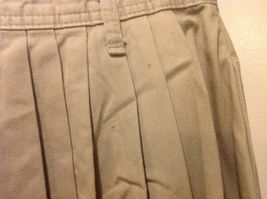 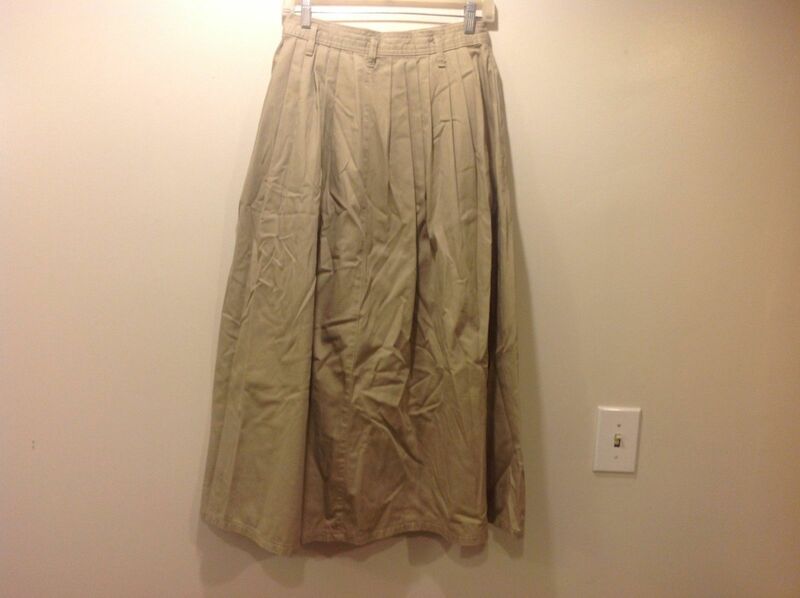 Skirt has two stains on the top in the back, but is otherwise in good condition! 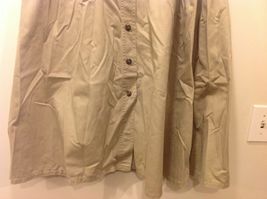 No tags - sizing/material unavailable, but material feels like cotton. 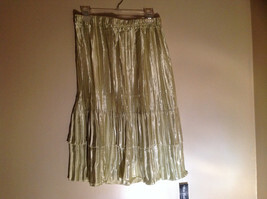 No size indicated, according to the sizing chart it would appear to be a M.
Pale Green Calf Length Pleated Skirt Shiny Material by Magic Scarf Co.